Brighton is leading the way with its eco-friendly conscience, something that is reflected in its huge range of ethical shops. Our city is filled to the brim with second hand goodies, handmade treasures and multitudes of cafes boasting their eco-friendly morals. At times it can be overwhelming, so where should you start? They started off as a small family run business, and despite their growth they still treat their workers like family! Their coffee comes from 20 countries, that fit into their Farm to Cup philosophy. They aim to develop long term relationships with their coffee producers by buying from them year after year, visiting them to understand the challenges they face and paying sustainable prices significantly higher than the Fair Trade minimum. Giving things a new lease of life; repairing and reusing is the motto of The Brighton Repair Cafe. They are open on the last Saturday of the month (apart from December) and with help from craftsmen and volunteers; they can fix everything from clothing to electronics. Plus you can have a cuppa, while you learn some new skills on how to extend the life of your beloved items! Shopping secondhand is one of the best ways to ensure your spending habits are eco-friendly. The crew at Wolf and Gypsy Vintage not only repair worn items and source incredible vintage bits but they also sell beautiful new pieces of clothing. They love to collaborate with local artists and specialists, so keep your eyes peeled for unique campaigns. At Dowse Design they believe in collaborating with people they know are fairly paid for their work. 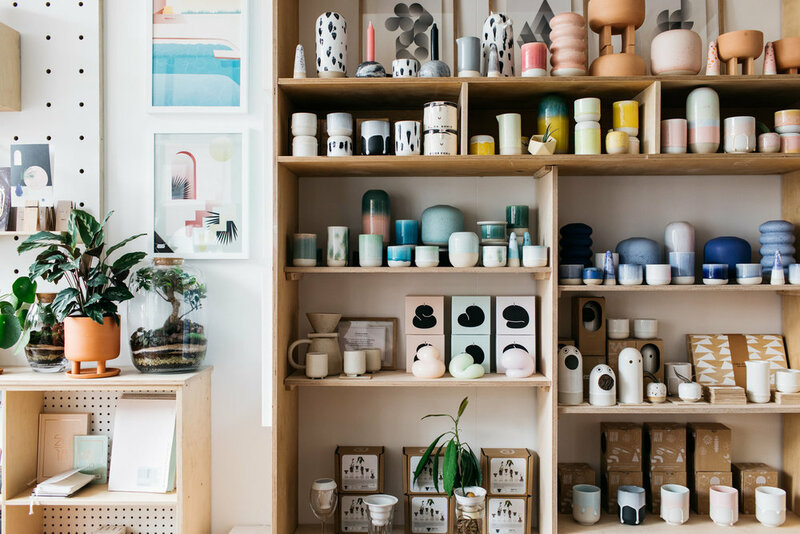 Their Brighton shop showcases their range of jewellery, homewares and more alongside other pieces of work from great independent small businesses & designers. So you can rest easy, knowing you are supporting the incredible talent that Brighton has to offer. Need more tips for eco-friendly shopping? Check out ‘The Pebble Guide to Brighton’ ; a simple way to check what great eco shops and community projects are happening around Brighton. Have you heard about ‘The Brighton Elephant’?